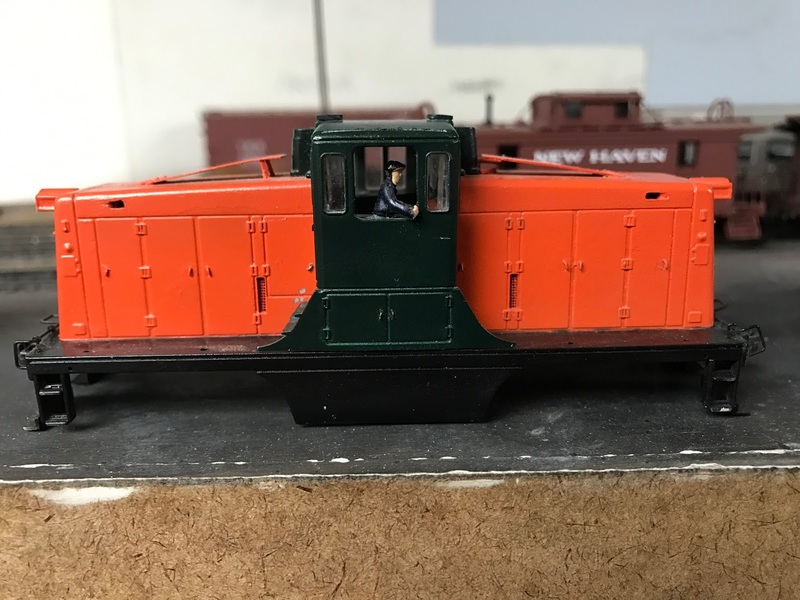 Modeling all four phases of 44-tonner that the New Haven owned is relatively easy. In reality, unless you are modeling the early-'40s, you only need to consider 3 phases. 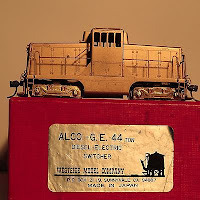 This is #0800 in its original configuration and is the subject of the Custom Brass "early version" of the 44-tonner. 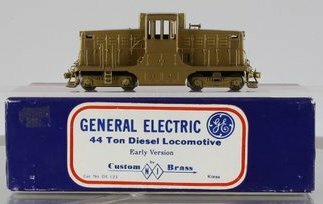 Of the 239 locomotives built, only 9 were built to this configuration so it was an odd choice for them to select considering GE built 50 of the Phase 1c, or the third most common variation. W&R also imported this variation. 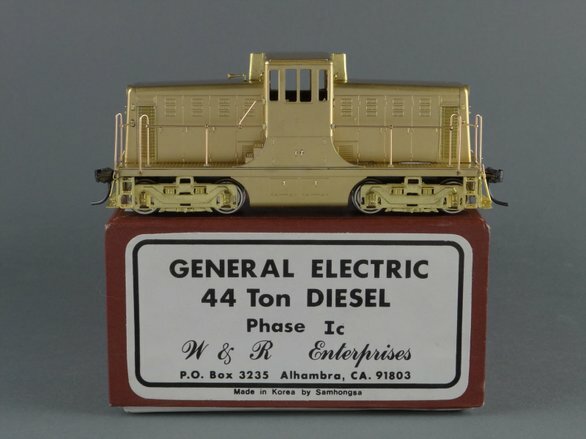 W&R Brass imported this version of the locomotive, and it's a very accurate model, other than the placement of the horn which should be in front of the stack on the forward hood. 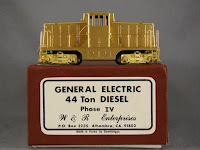 Again, W&R Brass imported this, although the engine intake vents are shaped like the Phase IV locomotives. It's a minor detail, but it's there. However, since this version is very similar to the Phase IV locomotive altogether, I have opted to modify the Bachman model. I just found out that Keystone also had a Phase III model kit. In the past I've heard they'd done a Phase I of some sort too, but I haven't found any pictures or specific information on them yet. 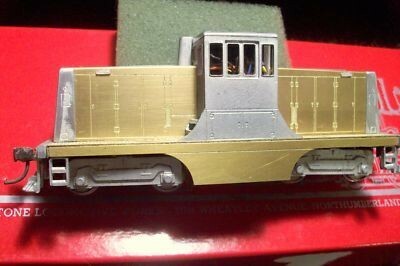 Brass Trains sold a custom painted and weathered 44-tonner (a W&R model) that has the intakes of the correct size. Probably modified by the modeler. 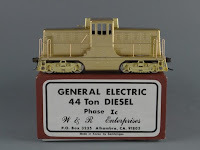 W&R Brass also imported this (along with Sunset Models and Westside Models), and Keystone Locomotive Works (upper right) produced a brass kit with some cast parts like the hood ends and cab; the Bachmann model is the easiest to get and can be made to perform well. 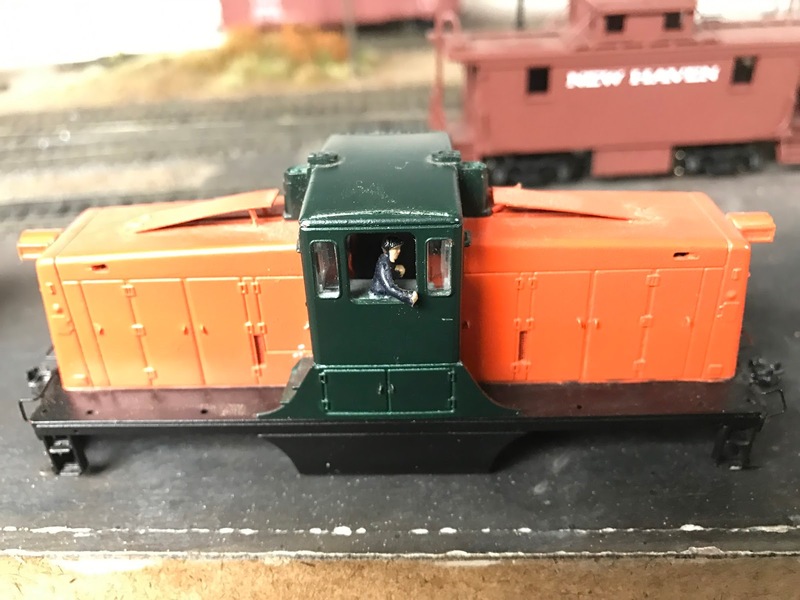 My only real complaints about the Bachmann model are the very thick pilot/footboards and windows that appear a bit under-sized. 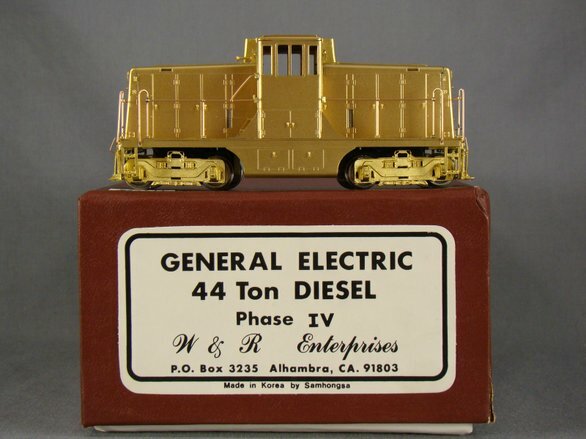 I'll start with the Phase III model, which is a modified Bachmann model. 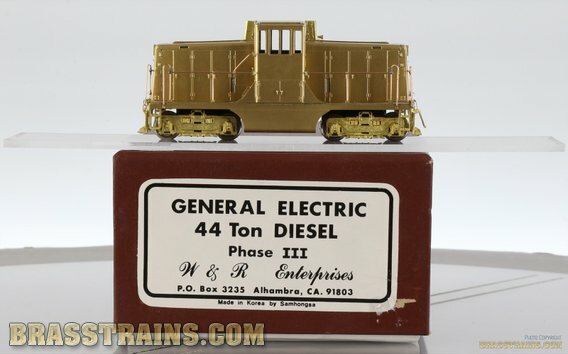 While the W&R one is very well done, I haven't actually come across a Phase III one for sale. 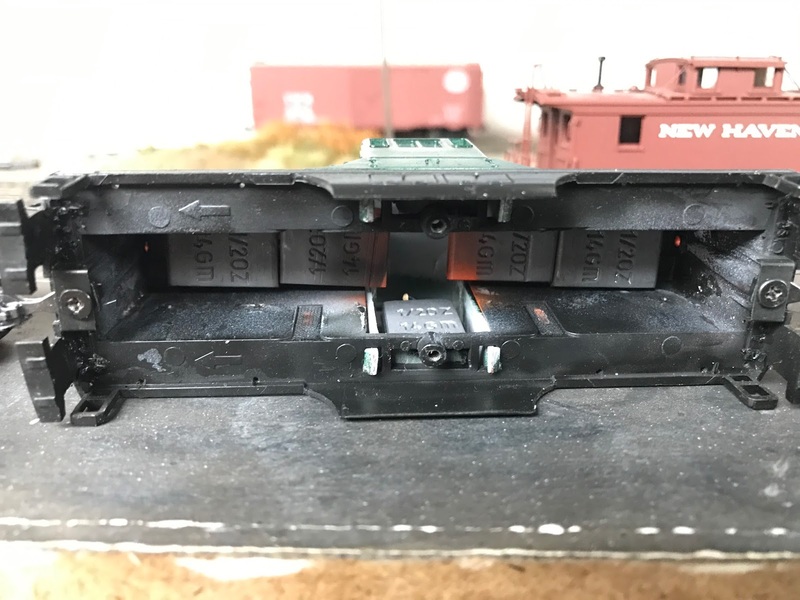 More importantly, though, I wanted to model the hood hatch covers in an open position. On the brass model they are closed, and would not be easy to modify. To start with, remove the circuit board and the plastic holder that snaps on top of the chassis itself. You won't need them. 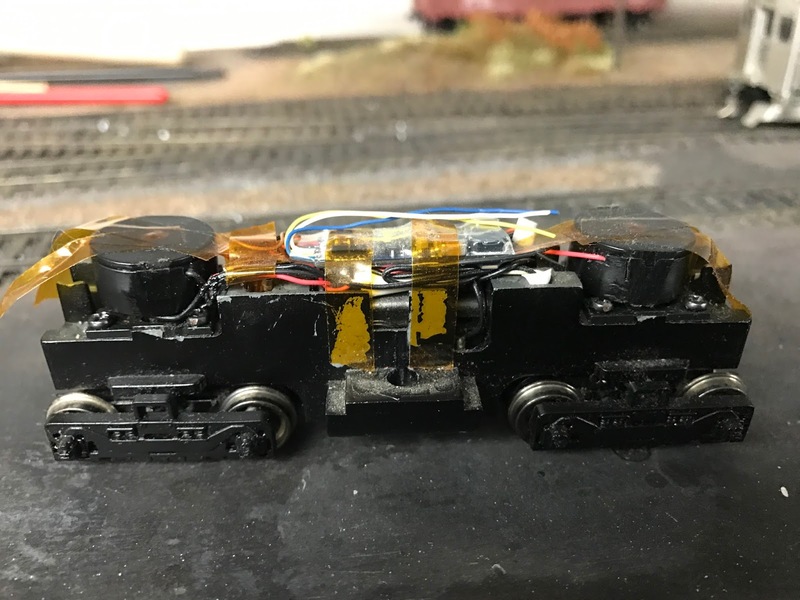 I used an ESU Loksound Micro v4 decoder, and two 1/2" speakers from Tony's Trains. I had to file the sides of the speaker enclosures slightly to fit. I haven't installed the lights yet but here's what it looks like using Kapton tape to keep everything in place. 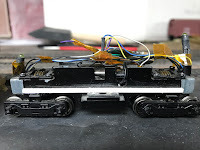 As you can see, I've removed the shell a lot on this locomotive (to show people the decoder and sound installation), and the tape isn't sticking that well. 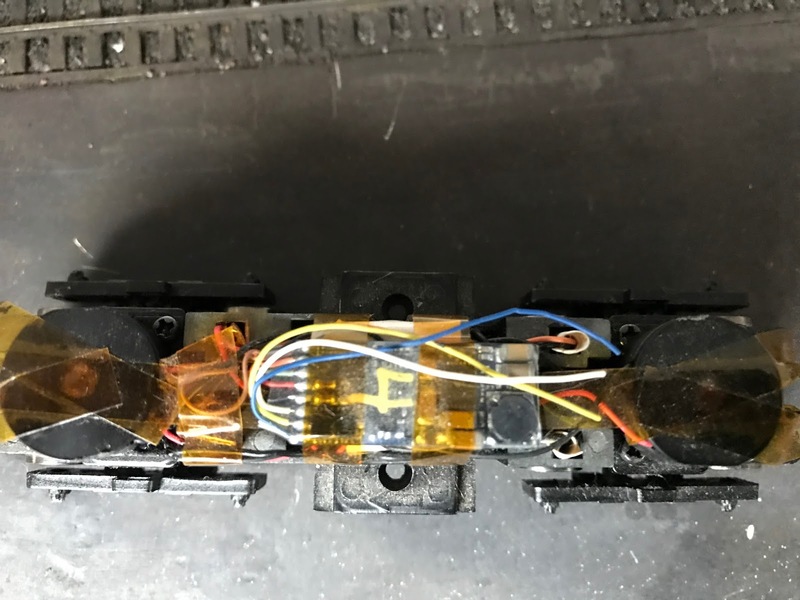 It's not essential at this point, but I will point out that the black wires on the left side are slightly damaged from putting on the shell, so make sure they are not getting pinched. ...I also added an additional 3 ounces of weight. This was done with the usual peel-and-stick 1/2 oz weights, one on each side of the cab, and two under each hood. 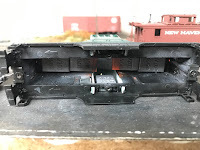 For details, I added the hatch covers (I have to fix the supports on one of them), made the engine intakes smaller, added drip guards, and also added the stack covers by cutting off a very thin slice from the top of the stacks of another Bachmann shell. The door handles were shaved off and replaced with wire handles. 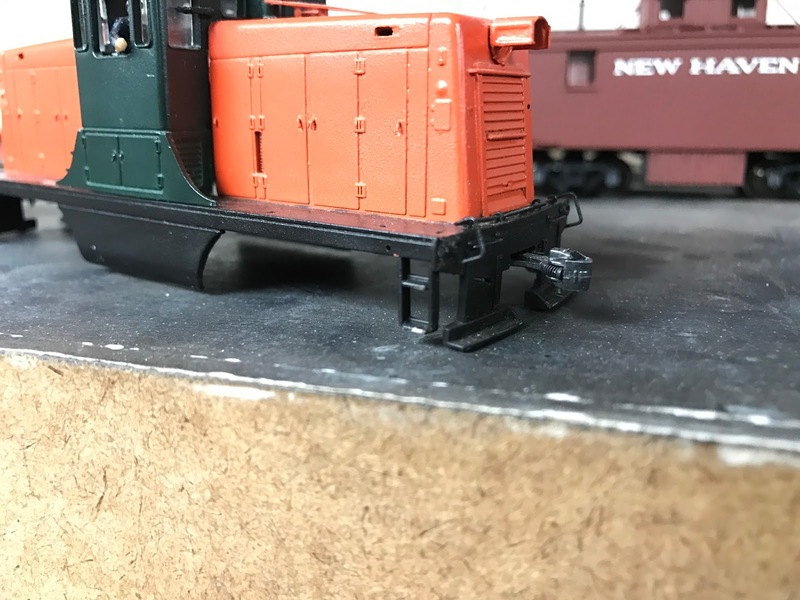 I also thinned the excessively thick footboard and pilot, and replaced the original uncoupling lever brackets with wire eyebolts. Wow, look how different the Warm Orange looks in those three photos! It's the same model folks, sitting in the same place on the layout, just different camera angles. 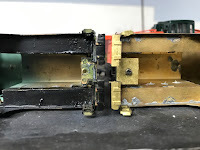 I plan on replacing the hinges for the hatch, they were actually rounded on the top, and I'll use some of the screen material from a donor shell (that is used on the generator vents) to install behind the engine intakes. The locomotive performs very well. I just extended Track #5 around the helix, which required a ridiculously steep grade at the end so I could keep it level to that point. This locomotive pushed 9 cars up that grade + the 2% grade of the helix itself - all on a 26" radius curve, of course. Before I added the weight it struggled with 3 cars up the 2% grade. To start, it's important to note that the Bachmann model has used two quite different chassis over the years. The original used two motors. 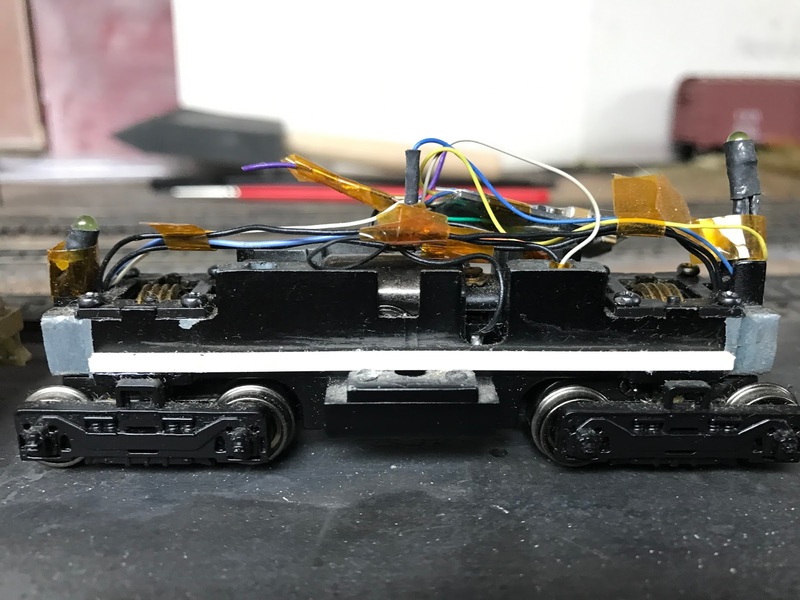 This takes up more space, at a lower weight, and complicates DCC installations since there's no guarantee that the two motors will perform exactly the same. 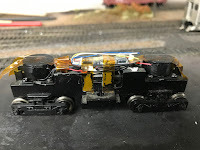 So I only use the single motor chassis. To make the chassis fit, you need to shorten the coupler box mounting pad on the W&R shell (the modified shell is on the left in the picture above). The chassis is a tight fit. 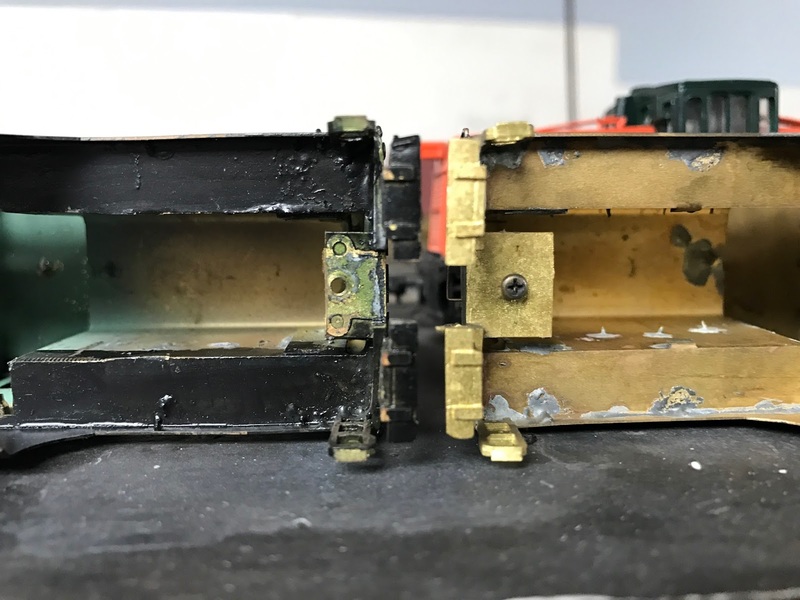 So tight that you will also need to mill a bit off of the ends, and the side of the ends to clear the radiator shutters which are a part that is soldered in place and thicker than the wall of the hood itself. This is the silver portion of the chassis in the photo. You also need to add a 0.05" thick spacer to bring the shell up to the correct height. I used strip styrene. 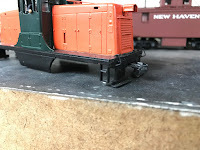 I have not experimented with extra weight yet, but I should be able to fit it under each hood like the Bachmann model. I still need to get speakers for this one. The biggest issue is that the two Ic locomotives will be painted in the delivery scheme of Pullman Green with Deluxe Gold lettering. Unfortunately, there aren't any decals available yet with the correct "New Haven" spelled out on the cab. Everything I can find is too large and doesn't fit. As soon as I get around to having some made I will post a source. Other than being a little lighter right now, this performs exactly like the other one, as would be expected with the same chassis. Hi Randy, A great wright up on the 44 tonners. I need to get one ready to switch Norwich. I hope it helps! Feel free to ask any questions, they work well with the extra weight. 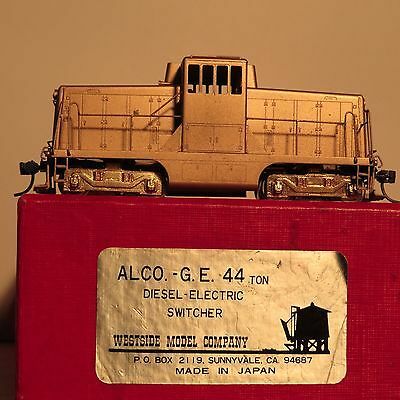 Very nice treatise on the NH 44 Ton! Thank you!